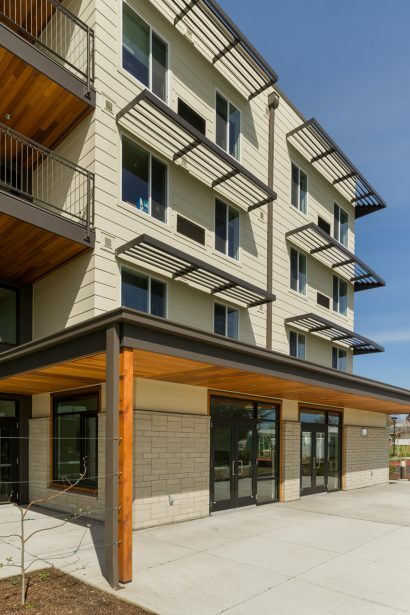 Located within the nationally acclaimed Orenco Station development and adjacent to a light rail transit station, Alma Gardens provides 45 apartments for affordable independent senior living. 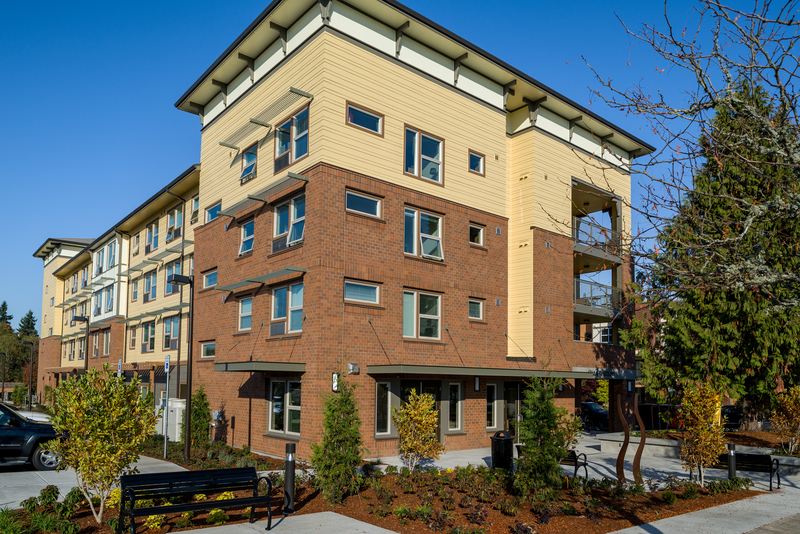 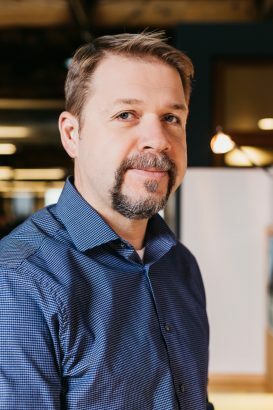 MWA and NHA worked with an adjacent TriMet ‘Park and Ride’ that borders the property to minimize site restrictions and facilitate a more dynamic neighborhood engagement with the senior residents. 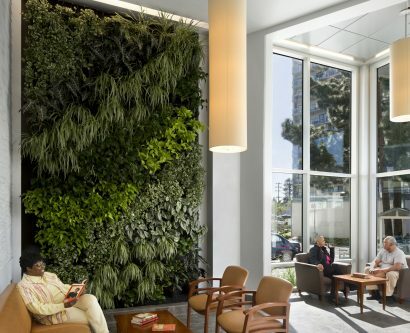 A formal courtyard and entry plaza at the front of the building with ample seating and gathering space serve as a transition between the public street and the lobby and community room within the building. 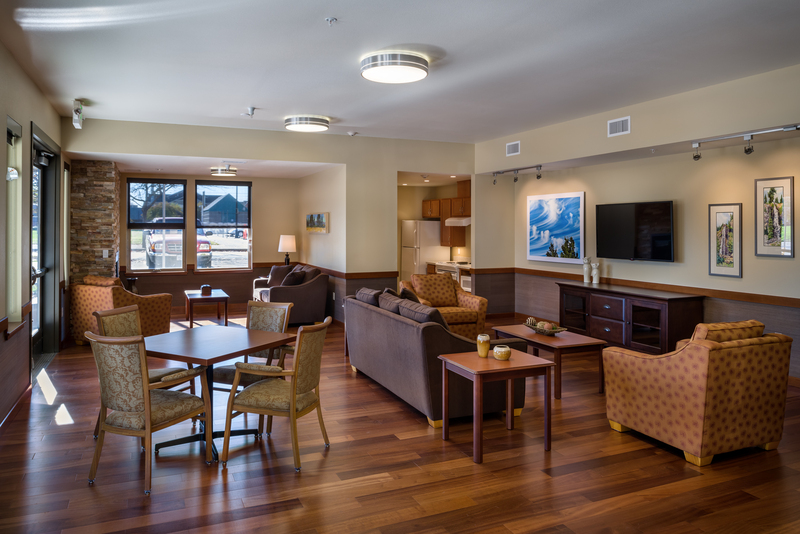 The community lounge includes a fireplace and kitchen and provides a connection to the outdoor plaza. 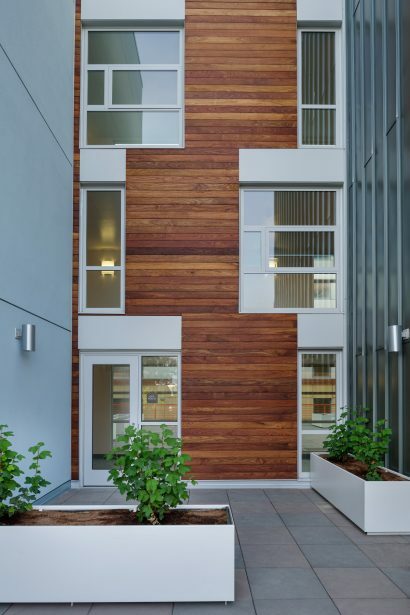 The design maximizes the amount of outdoor community spaces in order to foster seamless integration of building residents with the neighborhood. 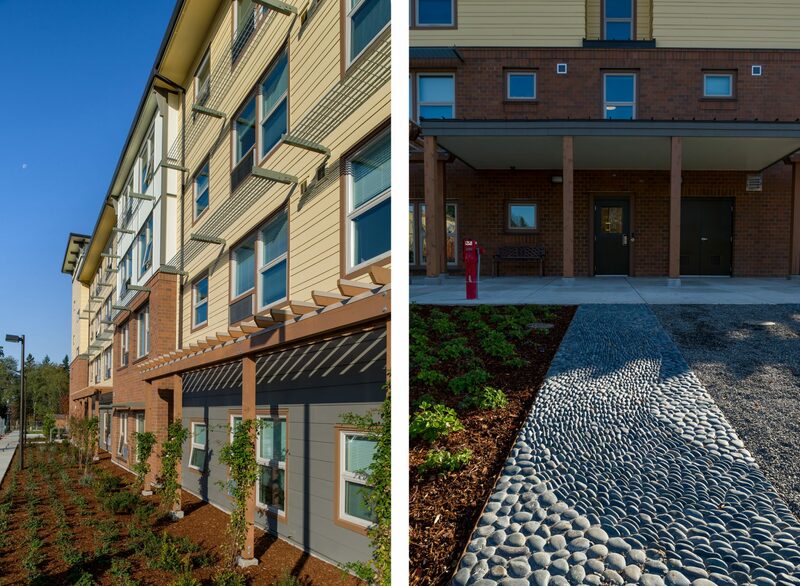 Tenants have access to garden space and a reflexology path. 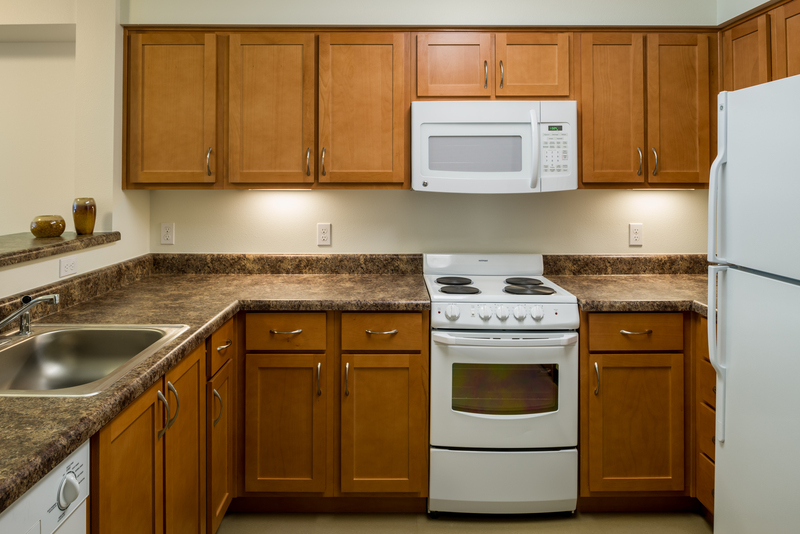 Apartments feature Energy Star appliances and include solar hot water pre-heating and water conserving plumbing fixtures.